Raise your hand if you have a stubborn child between the ages of 1 and 4. I do! Her name is Jubilee and she's currently 2 years old, going on 3. Don't get me wrong, she's not all stubbornness all the time. She is full of sweetness and is very smart. 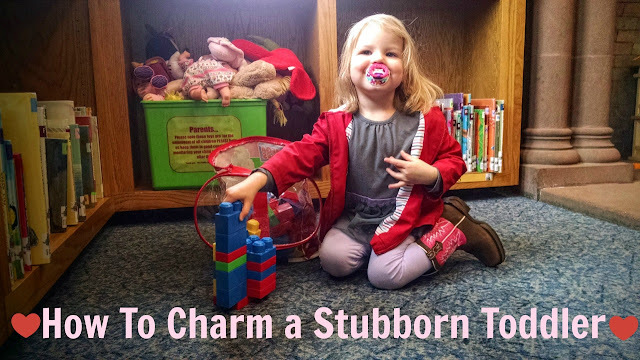 But, like any little one, she is sometimes very stubborn. The other day I was at my friend Meghan's house and I used my favorite trick to charm her and convince her that it was time to go. 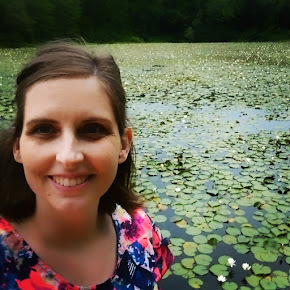 When she was nearly out the door, Meghan said, "This is fascinating to watch! You should blog about this." Here's how it went down at Meghan's house. We had had a lot of fun playing, and Meghan's one-year-old had gone down for a nap. Now Jubilee had all the toys to herself and was having a heyday. But, it was time to go. "We need to get our jackets on." I got my jacket on and turned to Jubilee for Serious Business time. "Are you ready to get in the car?" I asked. Of course. Rookie mistake. When it's time to do something don't ask your toddler if she's ready to do it. But now that it was made I decided to roll with it. As I began to put her jacket on her I went for the distraction-through-storytelling tactic. "Are you ready to go ride on a pink unicorn?" I asked. "Ooh, good!" I said. Her arms were now successfully in her jacket, and I began to work on her zipper. "Unicorns have a horn, what color is your unicorn's horn?" I asked. "Coool!" I said. "And what's your unicorn's name?" "Princess Pinky Pie," she said. And her zipper was done. Success. "Ok it's time to go ride our unicorns!" I turned to Meghan to say goodbye. "This is fascinating to watch." she said. "What? Oh, yeah, haha." I laughed at the thought of someone watching me tell my daughter to invent a unicorn. "I could use this on Patrick, when he gets older." Meghan said, earnestly. "Yeah, for sure!" I said. I haven't found a kid who doesn't love imagining things. Most adults like it, too. It's practically the only way I can get myself to clean the house: imagine that it's someone else's house. "You're good at it!" Meghan said. "You should blog about it." Meghan suggested, and I said I would. Well, not only was the unicorn story a great way to get Jubilee out the door, but it provided us with fun for the rest of the day. As I buckled her, Jubilee began to resist but I reminded her we were riding our unicorns and had to buckle up to ride them. Worked like a charm. As I backed out of the driveway I said, "Are you ready? here we go! Wheee! We're riding our unicorns!" A few minutes later Jubilee asked me about my unicorn. Mine, I decided, had a golden horn, and was named Gloria Goldenhorn. We talked about some of the things our unicorns said, and later shared the stories with Benjamin and Levi. Somewhere along the way our unicorns got wings as well. Levi had soon imagined a unicorn of his own, named Prince Green. In short, this tactic works so well that it not only gets the job done, it also make the job FUN. As Mary Poppins says, "A spoonful of sugar helps the medicine go down." All I had to do was ask my little one if she was ready to do something silly that I knew would appeal to her, and then keep the questions coming. Edit: I just heard a great example of someone using my technique! Click here to take a look at it and read 4 tips for making this actually work for you. Thanks, Rachel! I would love to hear about what Henry is reading these days!